Hello dear foodies! How are you all in this summer? Hope you all are well and taking care your family and yourself! 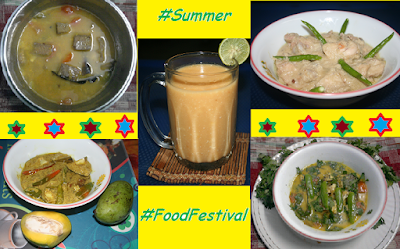 I’m going to start ‘Summer Food Festival’ of this year today and hope it will help you to resist heat and to keep yourself cool! 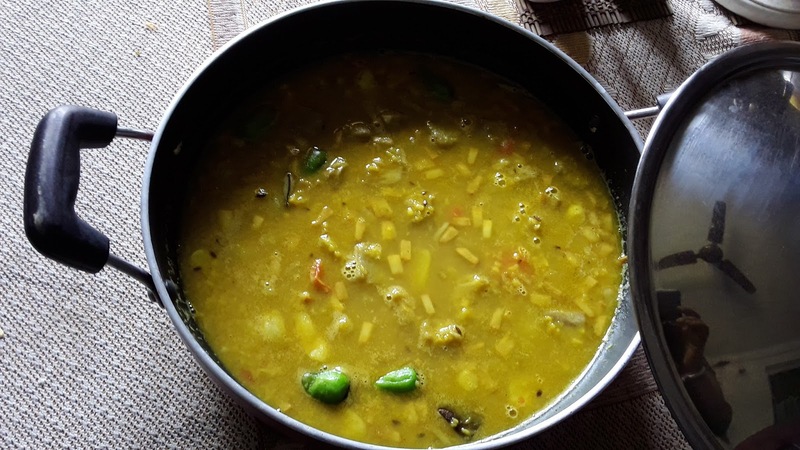 Starting with ‘Dal-Special’ recipes, I am going to share a special Bengali Dal – ‘Echorer Dal’. This is an authentic recipe of Bengal; try it and share your experience with me! Let’s go for it………..
Green Jackfruit (dressed and cubed): - 500gm. Cumin Seeds: - ½ tsp. Garam Mashala Powder: - 1tsp. 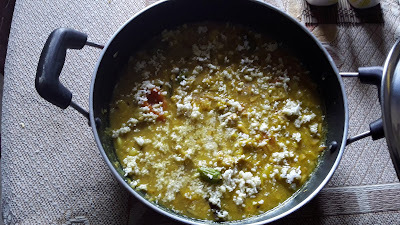 Roast the moong daal in a pan and then boil it with salt and turmeric powder. Keep aside when it boils well. In a pressure cooker, boil the green jackfruits well and keep aside. Heat Oil and add bay leaf, cumin seed and coconut one by one and cook until the coconut becomes brown. 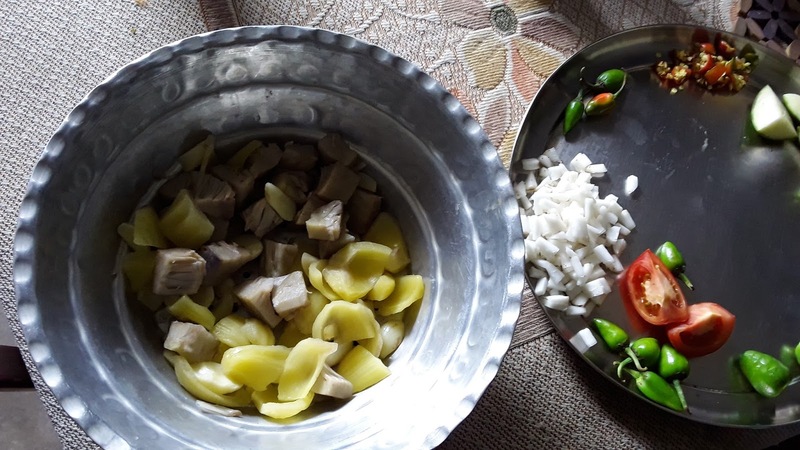 Now add the tomatoes, ginger paste, green chili, cumin powder, coriander powder, sugar, boiled green jackfruits and mix well. 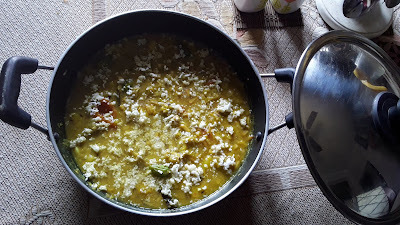 Then, add boiled daal, 1cup water and let the daal get cooked. Take it off the flame when the daal becomes thick. Add ghee and garam mashala and cover it for at least 5min. Garnish with grated coconut and serve hot with rice or roti or paratha.